How can you measure and evaluate your memory? Identify and assess the presence of alterations or deficits. Memory can be defined as the brain's ability to retain information and voluntarily recover it when needed. In other words, memory is what makes it possible to remember facts, ideas, feelings, relationships between concepts, and any other type of stimuli that happened in the past. While the hippocampus is the main part of the brain related to memory, we can't locate memories in a specific part of the brain, as there are a number of brain areas used in memory. This skill is one of the functions most commonly affected by aging. Luckily, memory can be trained with cognitive stimulation and different kinds of brain games. The leading brain training program from CogniFit makes it possible to activate and strengthen memory and other important cognitive skills. Our brain games were designed to stimulate certain neural activation patterns. The repeated activation of these cognitive patterns can help strengthen the neural connections used in memory and establish new synapses able to reorganize and/or recover weakened or damaged cognitive functions. Depending on how long information stays in the system: This would be the case in sensory memory, short-term memory, working memory, and long-term memory. Sensory memory retains information for a few seconds, while long-term memory can store memory for an almost unlimited amount of time. All of these types of memory work together so that the system can work properly. Depending on the type of information: You could say that verbal memory is in charge of retaining the information with verbal content (something read or spoken), while non-verbal memory manages the rest of the information (images, sounds, feelings, etc.). Depending on the sensory organ: Depending on the feelings perceived, we refer to visual memory (vision), auditory memory (sound), olfactory memory (smell), gustatory memory (taste), and haptic memory (touch). Coding: This phase uses perception to incorporate the information you will later remember, like when you meet someone new and they tell you their name. You will need to pay attention in order to code the information. Storage In order to make the information that we learn last, we store it in our memory systems. In the previous example, we learn the name and could associate it with the person's face. Recovery: When we need to remember something, we access our brain's storage and recover it. Following the previous example, we would recover the person's name the next time you say them. Memory makes it possible to remember where you live, your parent's names, your friend's faces, what you ate yesterday, and even what your country's capital is. Memory makes it possible to remember that you have a meeting at work, learn the client's name, and correctly enter your password on the computer. Studying for school would be impossible without our memory systems. We would also have trouble remembering when you had an exam in a certain class or when you made plans with friends. You use your memory you're driving and you have to remember the route that you have to take to get home. It can also help you remember where you parked, or even just how to drive. As memory is such a complex function that uses a number of different processes, it can be affected different ways and by a number of different causes. One on hand, it may cause very specific damage caused by the double dissociation from the memory systems. This means that one system can be altered without affecting another (for example, long-term memory may be damaged, but short-term memory will still be in tact). On the other hand, memory can be altered by a single neurodegenerative disease (like dementias and Alzheimer's Disease), by acquired brain damage (brain injury, stroke, infections, and other diseases), by congenital problems (like brain paralysis or different syndromes), by mood disorder problems (like schizophrenia,depression, and anxiety), or by consuming drugs (or medicine). It is also common for memory to be affected in learning disorders like ADHD, dyslexia or dyscalculia. The most common type of memory alteration is memory loss, which happens in Alzheimer's Disease. This memory loss is known as amnesia. Amnesia can either be anterograde (inability to create new memories) or retrograde (inability to remember past memories). However, there can also be an alteration of the content of the memories (confabulations or fabulations) or even hypermnesia. Confabulations are characteristic of Korsakoff Syndrome, and is the involuntary invention of memories and are filled with false information they don't remember. Hypermnesia is the involuntary access to vivid and detailed memories, like what happens in PTSD flashbacks. Measuring the state of your memory can be useful for a number of reasons, as it has significant effects in acadmic areas (knowing if a child will have trouble learning in class or if they'll need any type of extra help), in clinical areas (knowing if a patient will remember what medicine to take or if they'll be able to live independently), in work settings (know if a person will be able to properly perform their job), and in daily life. With the complete neurological assessment from CogniFit, you can esaily and effectively meaure memory and other cognitive skills. CogniFit has a set of tests that assess some sub-processes of memory like short-term auditory memory, contextual memory, short-term memory, non-verbal memory, visual short-term memory, working memory, and recognition. To do this, we use a different tests based on the Continous Performance Test (CPT), the direct and indirect digits test from the Wechsler Memory Scale (WMS), the NEPSY (from Korkman, Kirk, and Kemp), the Test of Variables of Attention (TOVA), the Test of Memory Malingering (TOMM), the Tower of London test (TOL), and the Visual Organization Task (VOT). These tests not only measure memory, but also reponse time, processing speed, naming, visual perception, updating, planning, visual scanning, and spatial perception. Sequencing Test WOM-ASM: A series of balls with different numbers will appear on the screen. The user will have to memorize the number series in order to later repeat it. The series will first be made of only two numbers but will increase as the user progresses until they make a mistake. The user will repeat the series after each presentation. Inquiry Test REST-COM: Objects will appear on the screen for a short period of time. The user will later have to choose the word that corresponds with the presented images as quickly as possible. Identification Test COM-NAM: Objects will presented as either words or sounds. The user will have to identify how (image or sound) the object was last presented, or if it was not presented at all. Concentration Test VISMEM-PLAN: Stimuli will appear on the screen positioned randomly. The stimuli will light up in a specific order, along with a sound, and the user will have to pay close attention to the order that the stimuli are activated. Later, the user will have to signal the stimuli in the same order that they presented originally. Recognition Test WOM-REST: Three objects will appear on the screen. The user will first have to remember the order in which the objects were presented as quickly as possible. Then, four sets of three objects will appear and the user will have to signal which series is the same as the first. Recovery Test VISMEM: Images will appear on the screen for about five or six seconds. During this time, the user will have to try to remember as much information possible about the image. Once the time is up, the objects will disappear and new ones will appear. The user will have to choose which are the correct ones. All of our cognitive skills, including memory, can be trained and improved. CogniFit makes it possible to do with a professional tool. Neuroplasticity is the base behind the rehabilitation of memory and other cognitive skills. CogniFit has a battery of clinical exercises designed to rehabilitate deficits in this cognitive skills. The brain and its neural connections can get stronger through practice, which means that frequently training memory can help make the brain connections it uses stronger and more efficient. CogniFit was created by a team full of specialized professionals in the study of synaptic plasticity and neurogenesis. This has made it possible to create the personalized brain training program to meet the needs of each user. This program starts with a precise assessment of memory and other cognitive skills. Based on the results of the assessment, the cognitive stimulation program from CogniFit will automatically create a personalized training program to help strengthen memory and other cognitive functions that the show to need improvement. Consistent training is the key to improving memory. 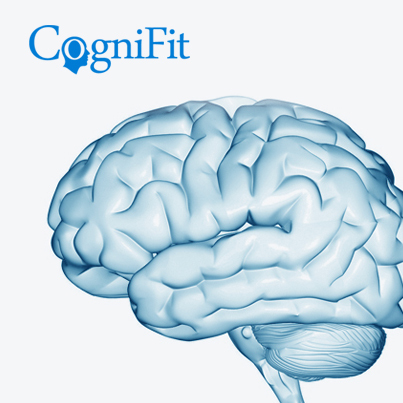 CogniFit has assessment and training tools to optimize cognitive functions. Optimal training only requires 15 minutes a day, two to three times a week. This program is available online. There are a number of interactive activities in the form of games, that can be played online or on a mobile device. After each session, CogniFit will show each user a detailed graph with their cognitive progress.